Pioneers in the industry, we offer two in one heat sealing machine, tarpaulin heat sealing machine, tarpaulin pneumatic heat sealing machine and poly tarpaulin sealing machine from India. We are manufacturing and supplying a wide range of Two In One Heat Sealing Machine. Control Panel: In-house electronic and electrical assemblies and dols for blowers etc. Each circuit will be provided with ELMCB for safety plus a heavy duty MCB for the mains. Drive System: The machine will be provided with DC motor (Thyristor Controlled) coupled to heavy-duty reduction gearbox via chain and sprocket through the main shaft. 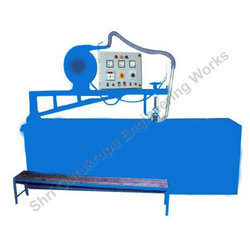 We are offering Tarpaulin Heat Sealing Machine at competitive prices to our clients. 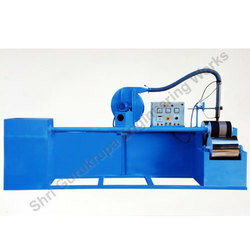 We are offering Tarpaulin Pneumatic Heat Sealing Machine to our clients. Condition New Application Industrial Type Automatic Being a customer oriented organization, we are deeply engaged in offering a wide array of Tarpaulin Center Sealing Machine. 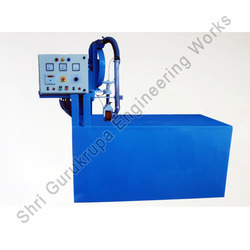 • This machine is mainly designed to manufacture various sizes of The HDPE tarpaulin as per the requirement of the customer. For Example: If our clients have 6 feet roll and they want to make 12, 18 feet width sizes. They can joint 6 feet and can make 12 feet width size. With this machine, the user can make the desired size in terms of width.